A new study has been released that 36% of all US workers are severely unprepared for retirement. 36% is roughly 1/3 of the US workforce which has underfunded their chances for retirement. 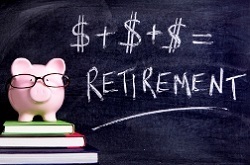 The study has shown that roughly 14% of people over the age of 65 have little to no money saved up for retirement. Many people would attribute the bad economy as the reason for a lack of retirement funding. Due to the failing economy and the uncertainty of the job market, many people had to dip into their retirement funding in order to remain afloat. 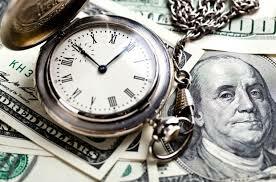 “Regardless of your age, there is no better time than the present to start saving for your retirement. 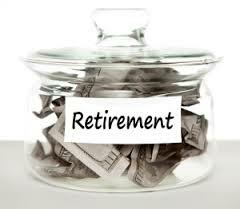 The key to a successful retirement is t save early and aggressively.” said Greg McBride who is the chief financial analyst for Bankrate.com. Many of those who are lacking when it comes to a safe amount of money set aside for retirement might have fallen for the lack of a plausible or even possible retirement in view. 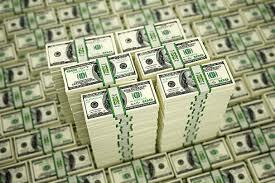 Unfortunately for most, those that have not set aside any type of money to live on after the working years are over. Many people who are most affected by this now recently released study are finding themselves feeling that the time for saving for retirement has long passed, but the time for saving for retirement is never too late. With economists believing that the US economy is slowly getting better and the stock market is gradually gaining ground, there is no better time than now to start saving for retirement. When it comes to retirement savings, if you are standing still you are not gaining any type of foothold on being able to enjoy your golden years. The study’s research has confirmed that of those polled, about 36% of workers have less than a thousand dollars saved up for retirement. What is worse are the ever increasing numbers of US workers that have less than the desired amount of money put aside for retirement. The study concluded that less than 60% of all US workers have been able to put aside more than 25,000 dollars towards their retirement funding. What is most terrifying is that the study takes into consideration pension plans and 401k’s which have been offered as a base for various employees to help fund retirement savings. That being said, many have either failed to contribute to their retirement savings plans for worse have had to tap into them, paying penalties for use or over drafting their retirement funding in order to supplement income and maintain either a mortgage or other regularly occurring bills and debt. The study found that of all the people polled in this research when compared to how they felt a year ago, roughly 32% were uncomfortable with the amount of money that has been saved and put away for their retirement. Only 16% of those polled were actually happy or comfortable with the amount of money they had been able to put aside towards their retirement. Unfortunately for many people, the amount of money that has been saved and put aside for retirement isn’t strictly being saved just for retirement. Many people have in essence turned their rainy day fund and their retirement funds into a general purpose fund in which only a fraction of what should be saved on a weekly or monthly basis is being saved and spending happens more frequently than it should. Most people regardless of this study would tell you when pressed that they are unimpressed when it comes to the amount of money that they have been able to save away in the last year. Let’s face it, the economy might be getting better but it is doing so in such a slow and gradual pace that many of us have yet to feel it. Worse yet, the cost of the standard of living has been rising the entire time and the wages or time in hasn’t yet caught up. The bills keep coming in, so with all this going on in the background it is easy to understand why one’s savings for retirement might be pushed on the backburner when it comes to the most pressing issues to be dealt with first. The most important factor when it comes to retirement funding, is to participate in it almost religiously. Even if it comes down to taking 20 dollars out of your pay every week and throwing it into a savings account that you don’t have immediate access to in order to stop yourself from spending it. The best advice that I was given was by my father. He told me that you work to live, you shouldn’t live to work. If you truly want to enjoy your golden years, distance yourself from 36% of the country that lost their way in retirement funding and start saving today so you can enjoy your tomorrow. Lately when the word retirement comes up in a conversation and many people tend to cringe at the sound. Perhaps the reason behind this reaction comes from the lack of a recovery when it comes to the economy and the still uncertain job market that has left many people unsure how they are going to save for next month let alone retiring. This got me thinking about some more realistic strategies that can help you plan for your retirement before just writing it off and thinking working until death is a plausible idea. 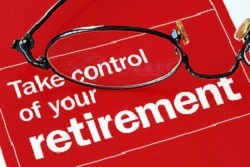 So here are 5 tactics to help you retire comfortably. 1) See where you stand. Knowing where your stand financially at this current moment in time is the very first step that you can take when looking down the road at retirement. understanding what your investments are worth, how much money you have in various savings as well as knowing what you owe on your current debts. The best way to evaluate what retirement will cost you, is to find out what your current cost of living is and how best you can cut spending in a way that doesn’t hurt your own personal standard of living while cutting your overhead costs. According to Fidelity Investments reporting, the average pre-retiree should be looking at a bankroll of no less than 250,000 dollars. If you need a new car, some would recommend leasing or putting aside the funding to just repair your current car instead of taking out a long term bigger payment on a new car. Many people in the current housing market, while slightly better than a couple years ago are still feeling the issues with selling their homes. Much of the current homebuyers are looking for housing that has very little renovating work due whereas those aging and are holding onto the homes that they raised their family in. When it comes to real estate there is an industry saying that “one should never fall in love with a pile of bricks.” The best tactic when trying to keep your retirement afloat, you should think about economizing or downsizing your current housing. If you no longer require the bigger more spacious homes of suburbia, look for housing to meet your current needs. When you are working and making money it is easy to look at investing more aggressively because whatever you lose as long as you are responsible with your finances, are not looking at losing all that much funding. That being said look into investing more conservatively as the years go on. Since the main goal of many savvy investors is to create a steady stream of residual income, the same goal should be met when investing conservatively in your retirement. Look into investing in utility companies and suppliers as well as shipping companies or whatever company offers to pay you in dividends more frequently. 4) Take advantage of senior discounts. One of the easiest but often overlooked abilities to save money in your golden years is by taking advantage of senior discounts offered to your age bracket as you grow older. Many with a sense of pride either in their finances or those ashamed of their age tend not to take advantage to senior discounts. However the discounts are in effect in order for those on more fixed incomes to be able to dine out or spend their money while still enjoying the same things that were enjoyed during the working years. The senior discounts are not limited to your local diner or retail outlet, there are also medical and federal discounts that can help to promote and propel your retirement years and finances. 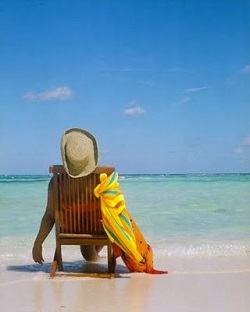 5) Look overseas for your retirement. One of the most stated goals by people aching for retirement continually talk about having the time to travel and enjoy the wonders of the world that they couldn’t in their younger years. 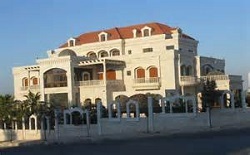 There is another aspect of this goal that can be achieved in the retirement years such as retiring overseas. Looking at retiring overseas can be a arduous task on its own but may allow you to have the travel capabilities and possible lower cost in living by moving out of the country. The purpose behind the above mentioned 5 tactics is to help guide to and through retirement so that you can make the most of your funding while enjoying the standard of living you have become accustomed to. Planning and surviving retirement shouldn’t make you cringe, but you should look forward to enjoying the fruits of your many years of labor. Starting now rather than later is the best way to ensure that your retirement is everything you’ve been dreaming about and working towards for the bulk of your youth. The American dream may not be dead but it has definitely evolved since its inception. Understanding how a goal evolves can help you to better achieve it. So here are 5 easy steps towards achieving long term wealth. Some of the first advice athletes are given is to picture the shot they are seeking. Whether it be making that next free throw or lining up that slap shot, visualizing the shot before taking it is one of the most sound ways to prepare for the goal you are seeking. This primary advice can be applied to your financial goals as well. Financial experts often tell people that there should be short, medium, and long term financial goals set forth in 5 year planners. When there is a clear goal in sight, you are more likely to put aside the necessary resources in order to best achieve your goals. Usually what comes to mind when thinking about how to gain long term wealth, residual income via investments often comes to mind. But understanding how to save is the first step towards achieving long term wealth because it teaches you how to save and spend. When it comes to saving money in short, medium, and long term funds you are only slightly closer to achieving your long term wealth goals. 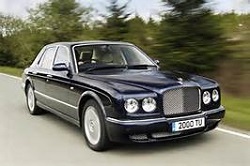 Many people when they think of wealthy people see mansions, expensive cars, boats, and maybe even a private plane or helicopter to shuttle you to and from the house to your place in the islands. However, most wealthy people don’t live to that extravagant lifestyle. There is an old adage that states, “rich people stay rich because they don’t ever spend their money.” Living by that statement is too far from the truth. Many people who are able to retire earlier than most of us and are more financially stable or wealthy are that way because they live below their means. The same advice is often given to people just starting their careers because they are more able to live below their means. That being said, let’s say you work two part time jobs and make $25K a year. Then you are offered a job for double what you make, if you are able to maintain your living expenses at when you were making half of your current total salary, you are more apt towards saving long term. The key to being able to retire from having to work, is the first step in being able to achieve long term wealth. Your retirement funding is your wealth, because it will allow you to travel or take on that second career you always wanted. By just putting away 50 dollars per month at a 7 percent return, after 30 years you will have complied 56,000 dollars in just thirty years. Don’t wait until your are 30 or 40 or 50 just because of the funding you currently have available to you. Good things may come to those who wait, but when it comes to saving for retirement you are only shorting yourself. Start saving now so that you can worry less as time goes on. Budgeting your money is one of the best ways to track your money and your spending habits. Understanding how much money you have and where it is going will help you better plan for how to save and spend better over time. Look at your pay stub and balance your checkbook. We tend to over look how we spend our money in the day to day which throughout the week adds up over time. How much do you spend in a given week? Is it possible to cut that expenditure in half per week? 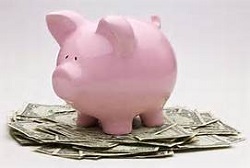 Multiple that spent money times 52 weeks in a year and see how much money you are wasting that could be better used in either a savings plan or in your emergency funds. Paying off your debt is one of the best ways to build your wealth over time. If you have high loan or credit card debt chances are you are paying a higher interest rate on those outstanding lines of credit. If that is the case then you are spending more than you are saving by just having those lines of credit open. In order to cut your spending, you might have a better shot of achieving your long term wealth building goals by paying down your bills and debt sooner. These five steps towards helping you build long term wealth are here to help you set up and achieve your financial goals. Following and practicing them in a day to day mentality will help you master them as they become part of your daily routine. Your road to building long term wealth starts here! Every wage earner is eagerly looking towards retirement and the best ways to fund that retirement. Whether it be investing for long term gains, buying IRA’s or bonds or simply just putting money aside every month for the rest of your working career, we are all looking to achieve the same goal. 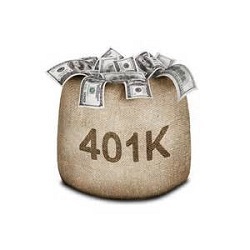 401(k)’s are the more traditional route wage earners take because it has replaced pensions. A traditional 401(k) is a great way to save for your retirement funding, but what if there was another way? Like investing your retirement fund into a Roth 401(k). A Roth 401(k) is like a traditional 401(k) in that it is a fund in which both you and our employer will pay into during your time at a company. The best part about a Roth 401(k) is also the very same that is the best part of a Roth IRA, any money put into the fund is all taxed up front. Unlike a traditional 401(k) where you would put a percentage of your income into it, when it came time to start pulling from the fund, you would be paying taxes on every withdrawal. When it comes to a Roth 401(k), and you reached the age of 59 and a half, you would be able to start taking money from your 401(k) and not have to pay a single cent. You would have already paid the tax up front. The benefits of funding your retirement this way is that when you retire and will need the money you had put away when you were working. While you are young and in the work force, chances are that you will be in a higher tax bracket than when you retire. The benefit to the younger workforce, or even middle aged workers, is that if you pay the taxes up front while you are working, you can enjoy the money later on. The percentage of taxes to be collected depending on income may go up in time, so like when you borrow a loan you may in fact end up paying less over time when you pay the taxes up front, as opposed to paying the taxes on the back end like any traditional 401(k) would have you do. Regardless of what you earn, a more median wage or if you are a higher wage earner, the benefits of understanding how a Roth 401(k) works can have a great impact on your long term finances. 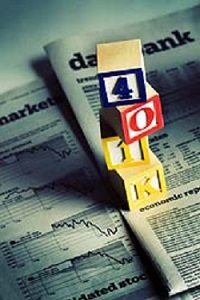 401(k)’s are one of the best options when looking to finance retirement. They offer an ability to set aside money that can be matched by your employer and the fees associated with early withdrawal are steep enough to ensure many roll them over when leaving and entering a new job. That being said, 401(k)’s also have rules when it comes to taking the money from them. 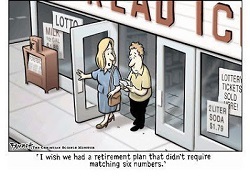 The IRS will start taxing you on required minimum distribution of funds when you turn 70 and 1/2. The reasoning behind this is that because by law you are supposed to be pulling from your 401(k) so that the IRS can tax you on the money you’ve been putting aside for years but have not been taxed on yet. So while you may put away X amount of money, really you have only put away X amount of money minus the tax percentage of Y (or X-Y%= Net retirement funds). The older you get, depending on what the cost of living is at and any unpredicted medical expenses, you might has much less than you had prepared for. The need for a predictable and formal number might be something you would want to be able to count on later in life. A Roth 401(k) works in pretty much the same format but you can pull from it sooner and with no taxes pulling from your overall funds. While the traditional 401(k) was worth X-Y%, with you paying the taxes up front what you saved over time was the number you’ve got posted. If you paid Y% up front, then your net retirement funds are simply worth X. The key to a financially secure retirement, comes from the willingness and determination in properly funding for your golden years. Looking at and weighing all options is the best way that you can properly prepare. That being said, looking at 401(k)’s for one of the best ways to save for your later years can come with benefits virtually unseen upfront. Look at all your options and take the time to research and develop a plan for investing your retirement funding into a Roth 401(k) so that you can enjoy the money you’ve worked so hard for. 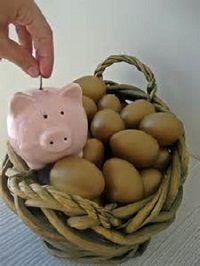 No need to sacrifice the comfort of your golden years because of the normal or more traditional ways to save.